With so many things to do in Australia, it is a perfect destination for all holiday-goers. The first impression most visitors have of Australia is that it’s big, seriously big! Australia covers almost as many breathtaking activities as it does landscapes. It’s so easy to be overwhelmed by the fabulous choices that come your way, from soaking up the sun on a beach to going on an epic road trip, enjoying an indulgent fine dining experience, wine tasting at the cellar door, plunging into art galleries and catching a live performance, we’ve brought you a list of the top 12 absolute coolest things to do in Australia. 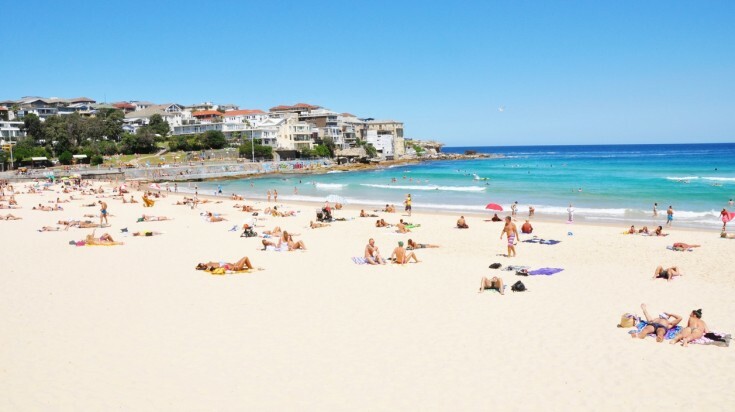 Bondi Beach in Sydney is quite popular with locals and travelers alike. Australians are renowned for their outdoor, sun-worshipping lifestyles. When you are the world’s biggest island, you have plenty of coastlines to play with, almost 37,000 kilometres in fact. So, it’s not surprising one of the top things to do when in Australia is to discover that magic beach where golden sand kisses turquoise water. From Sydney’s iconic Bondi Beach to the long, languid expanse of Broome’s epic Cable Beach or the chillaxed laid-back vibe of Queensland’s Burleigh Heads Beach there is a little bit of sandy heaven just waiting for you. When to go: November to March, during the summer months in Australia. Where to go: Bondi Beach, Sydney, NSW. Burleigh Heads Beach, Gold Coast, Queensland. Cable Beach Broome, WA. 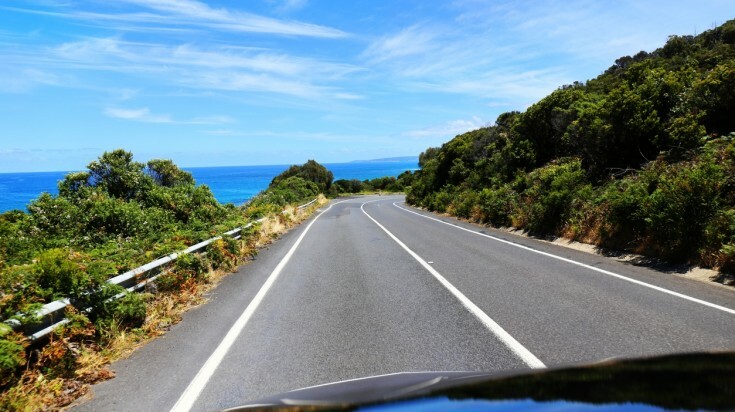 Road trips in Australia come with spectacular views of the coast. Australia’s vast open spaces were tailor-made for the automobile. So stock up on snacks and hit the road — Aussie style. From the glorious driving experience of Victoria’s Great Ocean Road to the epic Nullarbor Plain crossing or the Alice Springs to Uluru and King's Canyon drive; go walkabout and see the real Australia. Along the way, you’ll see the Twelve Apostles, a collection of limestone stacks off Victoria’s coast, right whales sporting in the waters of the Great Australian Bight and wild camels, emus and kangaroos on the road to Darwin. When to go: Any time, no matter which season you choose to take a road trip, you will be greeted by stunning views and perfect weather for road trips. 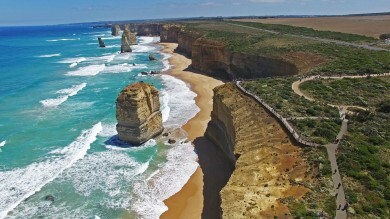 Where to go: Great Ocean Road, Victoria. Nullarbor Highway, Adelaide to Perth. Uluru to Kings Canyon, Northern Territory. You can find the freshest seafood and fine dining all over Australia. Australia has a thriving gourmet dining scene. Fresh ingredients, world-class chefs, striking architecture and adventurous decor make for seriously indulgent dining. Whatever your itinerary, carve out some time to experience the very best in fine dining Australia has to offer. From Michelin starred restaurants starring seafood, Wagyu beef, truffles and marron through to local food and wine festivals and Melbourne’s café culture, you will find a host of inspired dining options well worth seeking out. Where to go: Rockpool Bar & Grill, Sydney, NSW. Brae Restaurant, Birregurra, Victoria. Terra Preta of Braidwood, NSW. Port Lincoln in Eyre Peninsula for the freshest seafood. Insider's tip: There is a certain sweetness to eating the freshest of fresh seafood straight from the catch! 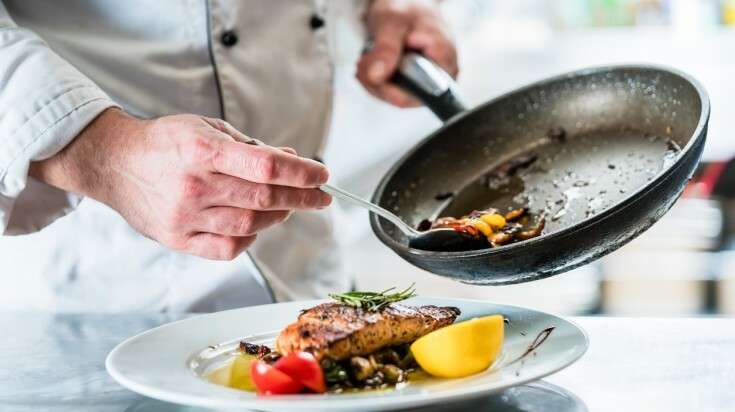 When in Tuncurry, New South Wales, stop by a fish co-op for your chance to buy local seafood for lunch or eat local to experience the best of Australia’s East Coast. Australia has amazing marine biodiversity to explore while scuba diving. 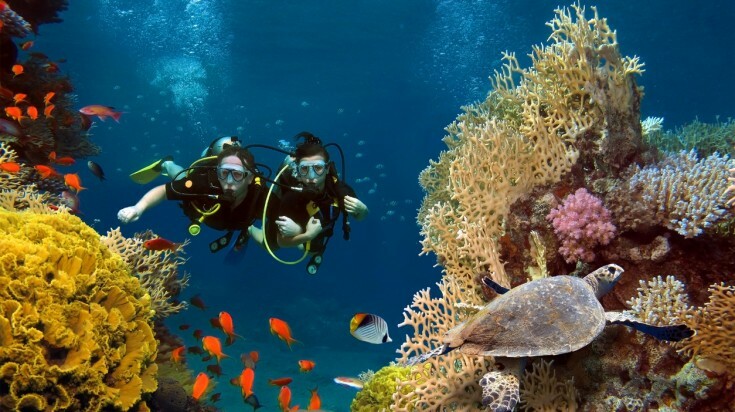 No matter which corner of this massive continent you decide to visit, you’ll encounter an amazing biodiversity when you go scuba diving or snorkeling in Australia. Here, you will encounter manta cleaning stations off Stradbroke Island, spot tiny nudibranchs off Heron Island, watch majestic whale sharks cruising off Ningaloo Reef, go shark cage diving or play with sea lions at Port Lincoln and go wreck diving on the ex-HMAS Brisbane off Mooloolooba. And no matter how much of an experienced diver you may be, you haven’t truly scuba dived until you’ve dipped your fins into the Great Barrier Reef’s sparkling clear waters. When to go: November to March when the temperature of the water is suitable for diving. March to August to catch whale sharks in Ningaloo Reef. Where to go: Great Barrier Reef, Queensland. Ningaloo Reef, WA. Port Lincoln, South Australia. The Hunter Valley wine region produces more than seven varieties of wine. Australia’s brilliant New World wines have been winning admirers around the world for decades. Australia’s winemaking heritage goes all the way back to the late 1700s when the first European settlers arrived with vines. 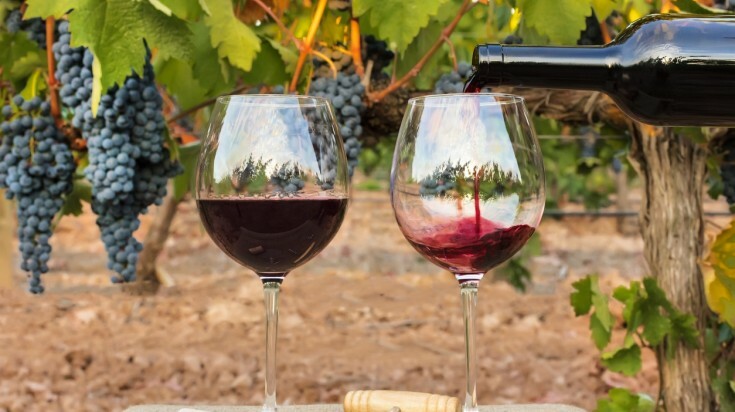 Take a winery tour or head to the cellar door to explore the Barossa Valley’s heavenly reds, Canberra’s crisp cold climate delights or Margaret River’s premium whites. When to go: Autumn months from March to May when there is minimal rain and the vineyards are covered in hues of orange, yellow and green. December to February to align with the harvest time. Where to go: Cold climate wineries, Canberra, ACT. Margaret River, WA. Hunter Valley, NSW. Yarra Valley, Victoria. Gold Coast to the south of Brisbane is one of the best spots for surfing. Where better to master the art of riding breaking waves than sunny Australia. If you are wondering what to do in Australia, add learning to surf to your bucket list. Australia is blessed with great surfing conditions, warm water, glorious sunshine and an abundance of surfing schools and accredited instructors. Whatever happens though, you’ll have heaps of fun and might even catch a wave or two. When to go: November to March during summer months. Where to go: Surfer's Paradise, Gold Coast. Byron Bay, NSW. Bell's Beach, Victoria. Noosa, Queensland. Insider's tip: The first time I tried surfing, I just rented a board on my own, but surfing is a lot harder than it looks and it wasn’t until I joined a week long surf camp that I really got the hang of surfing, caught the bug and fell in love with this amazing sport. The Australian outback is where you can find native wildlife, rugged mountain ranges and deserts. Nothing is more Australian than the outback. The Australian outback is a magical place of transcendent beauty. Its vast open spaces stretch seemingly forever. 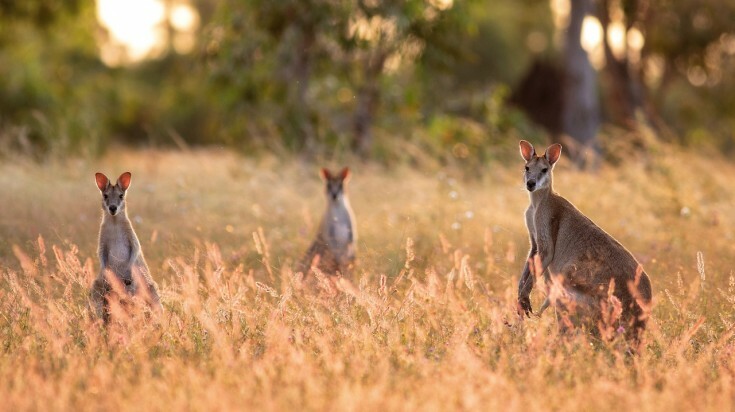 From amazing 4WD adventures to rugged mountain ranges, spectacular gorges sprawling cattle stations and the world's longest stretch of gun barrel-straight railroad, the outback is quintessentially Australian. Here you will discover a newfound sense of freedom and so many things to see in Australia. When to go: April to October during the dry season when the temperature is mild. Where to go: Uluru-Kata Tjuta National Park, Alice Springs. The Kimberley, Western Australia. Arnhem Land, Northern Territory. Flinders Ranges, South Australia. 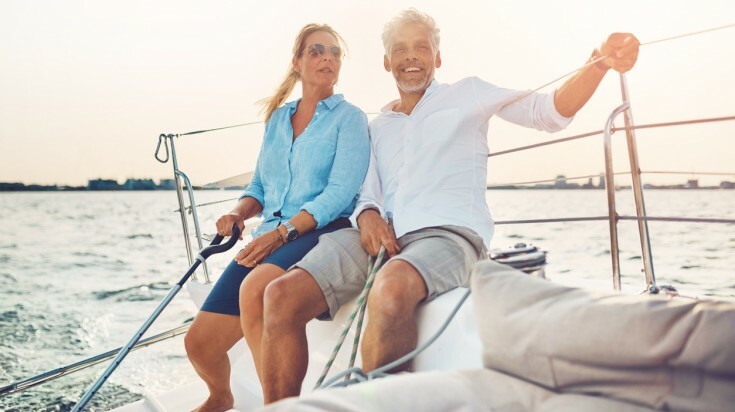 Sailing makes for a relaxing holiday with friends or family. Australia is renowned for its rugged sunburnt outback. For those seeking a more leisurely view of Australia, explore Australia’s idyllic coastline by yacht. Whether cruising the halcyon Whitsunday Islands or down Sydney Harbour sailing past the Opera House and the iconic Harbour Bridge; a relaxing holiday with your family or friends on a yacht is truly one of the best activities in Australia. When to go: Anytime of the year, regardless of the weather is a good time to go. While June to August sees the migration whales. 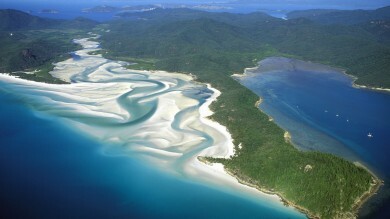 Where to go: Whitsunday Islands, Queensland, NSW. Bells Beach, Victoria. Australia's unique wildlife offers memorable encounters. Australia’s wildlife is famous around the world. Bounding kangaroos, cuddly koalas, cute quokkas, spiky echidnas or sleek seals and savvy dolphins, Australia has it all on tap. From its exotic 800 species of birds, 378 mammal species and 869 reptiles, Australia offers memorable wildlife encounters anywhere you go. Where to go: Kangaroo Island, South Australia. Phillip Island, Victoria. Hervey Bay, Queensland. 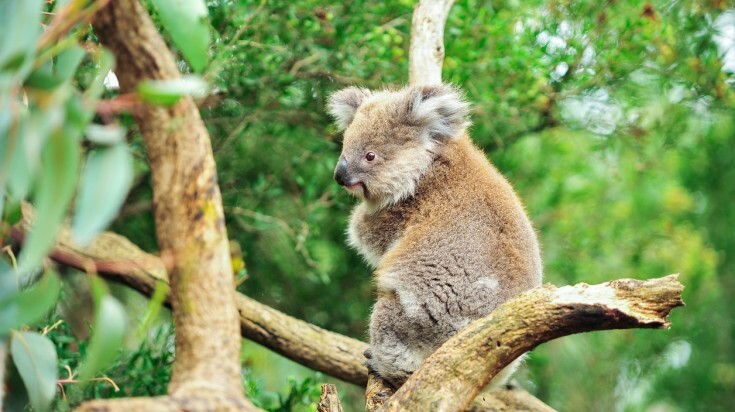 Insider's tip: For those who are less on the adventurous side, Australia has a lot of excellent zoos and wildlife sanctuary where you can get up close with animals and learn more about them. If your Australian holiday starts in Sydney, theTaronga Zoo is a great place to visit for a glimpse of wildlife within the city. 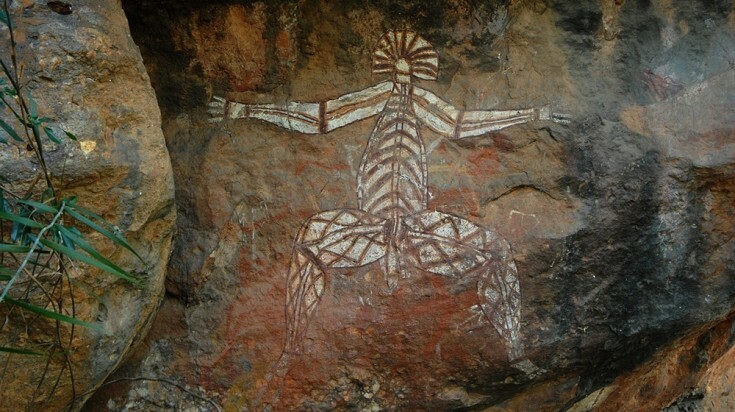 Immerse yourself in Australia's Aboriginal culture, lifestyle and sacred places. Australia's Aboriginal people have a rich, living culture stretching back into the mists of time for at least 70,000 years. Discover opportunities to immerse yourself in Aboriginal culture such as the Dreamtime, that tells the stories of creation and Aboriginal understanding of the world. From traditional bush tucker to ancient rock art to immersive cultural experiences, across Australia, you'll discover many opportunities to immerse yourself in Aboriginal culture. Where to go: Cultural Centre in Uluru Kata-Tjuta National Park, Northern Territory. The Kimberley, Western Australia. Ngaran Ngaran Culture Awareness, South Coast, NSW. 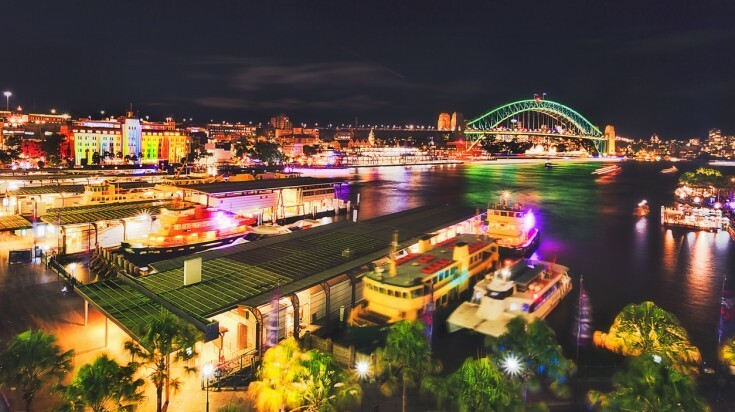 Visit Vivid Sydney Festival which occurs annually for three weeks in May and June. Australia is home to a vibrant art community with well-established national art collections and art precincts in every state capital and a calendar of art events, exhibitions and festivals. Australia is also home to fine classical orchestras, a thriving independent theatre scene, a national opera and ballet troupe, contemporary dance companies and of course the iconic Sydney Opera House. Where to go: Art Gallery of NSW, Sydney, NSW. National Gallery Victoria, Melbourne, Victoria. National Art Gallery, Canberra, ACT. Insider's tip: No matter which city in Australia you visit, check out the local calendar for upcoming festivals and events. Australia has some of the finest hiking experiences in the world. In a vast country of diverse landscapes, there is no better way to experience Australia’s spectacular natural environment than on foot. 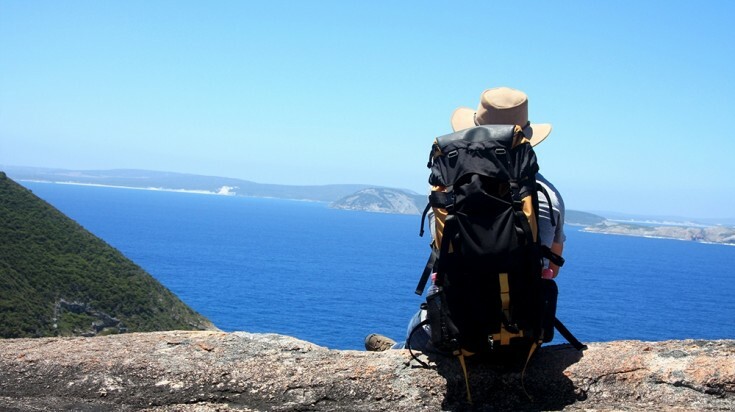 Australia's walking tracks are ranked according to the Australian Walking Track Grading System and you can find all kinds of hiking trails to suit you. Be it a short walk through a national park, to an epic multi-day trek, Australia has some of the finest hiking experiences in the world. When to go: September to February for southern Australia and March to November for those on the northern parts Winter months tend to get colder in the southern region compared to the northern tip. Where to go: Blue Mountains Grand Traverse, NSW. Bay of Fires Lodge Walk, Tasmania. Margaret River Cape to Cape Walk, WA. Overland Track, Cradle Mountain, Tasmania. When it comes to deciding your itinerary, there are clearly so many things to do in Australia. A holiday here can be as laid-back or as energetic as you desire. 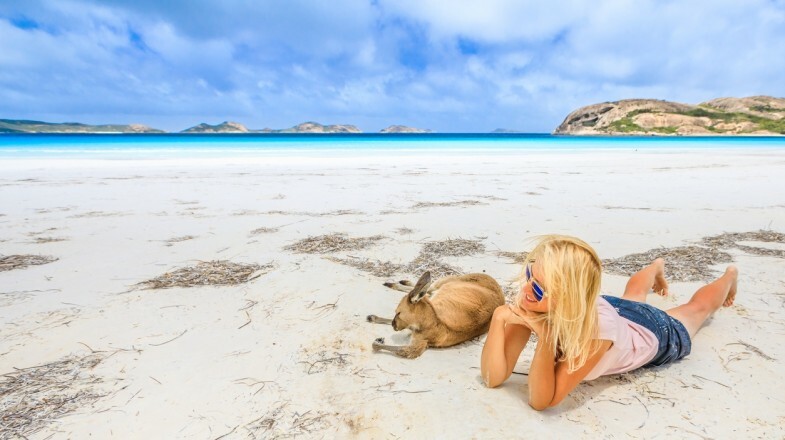 From encounters with Australia’s wildlife, hiking through the bush, learning to surf, learning about the Aboriginal culture, exploring art galleries or simply lazing on a beach, Australia’s sun-bronzed beauty shines through.